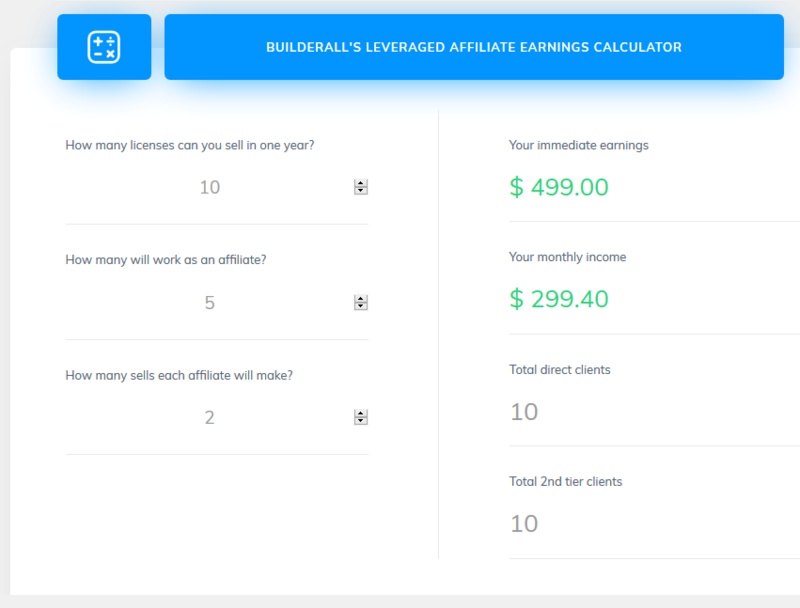 How To Earn Through Builderall Affiliate Program - Steps & Guide,Review! - Online Digital Marketing Tips & Tricks, SEO,Blogging! Hi My Lovely Readers, it has been a long time i didn’t post, but I was busy in researching and finding new and simply ways to earn huge income online, and today i’m here with that. I’m not sure how many of you know about BuilderAll, but this is what that can you let earn $200 – $300 in one or two weeks, isn’t that crazy? Yes it is. Actually the major issues I have faced in Digital Marketing is, I can make regular income but not passive. I think that’s the issue everyone faces most in the starting in Digital Marketing. But by using this Affiliate Program,You’ll be able to earn passive income.I took a lot of time to research on this product and I used it myself too and will show you how much I earned and how can you do it too. In my short words, It is a online software that help us to create Landing Pages,Squeeze Pages and Email Marketing as well, and there are a lot of features, which i’m going to explain below. If you are in affiliate marketing then you absolutely know about how important it is to convert leads. This software works as CMS (Content Management System) too. You can make a website on this with their hosting, you just need a domain name. It has Email Marketing tool which is more better than AWeber or Mailchimp, and You build unlimited email list. They have chat bot system that can easily handle your social networking accounts. Landing Pages,Squeeze Pages,Funnels and more terms are included in this software. If you are a digital marketer, then this tool will really help you to get sales easily, you can try your Free Trial. Now if you want to affiliate this program and want to earn huge $$, then now let me explain it. Actually it is a product which gives Tier 1 and Tier 2 Commissions even recurring. If you can refer 10 people in a year. And 5 of them work as Affiliate and they atleast make two sales, what will be your total earnings? It’s just a minimum calculation, and your monthly income will be $299 with only 10 refers, isn’t that good? and the immediate income that will you get $499, it means on 10 refers. If you want to know more about this program let me show you a video. I’m just making this post very light to understand. Now as i said let me show you my earnings and how much time i took to get that much. And I took only 1 week to get that much. If you want to join this then I have some special thing for you, you can join my secret facebook group, i’ll share daily updates there and some tips & tricks to get that much easily. You can connect to me on social networks to know more about Digital Marketing Strategies. Don’t forget to subscribe our newsletter and be updated. Hi, This is Abhishek Thenua and I'm Blogger,SEO Expert as well as Computer Geek, I Always find and implement on new things and then provide to my audience by this blog. Awesome review you talked about here. Im just hearing about the builderall for the first time. Hey Henry, Yes builderall is quite new in the market but people can earn huge bucks through multi level marketing (MLM) so yeah all the best and thanks for your valuable time to read and comment here.